‘Tis the season for holiday parties, and you want to put your best face forward. Have you been considering some cosmetic boosts, from facials to Botox and beyond? If so, this Saturday is a great opportunity to discuss your options with Mountain View dermatologist Dr. Duke Khuu. You can get all your questions answered and score great discounts on the beauty treatments of your choice at Dr. Khuu’s Day of Beauty. 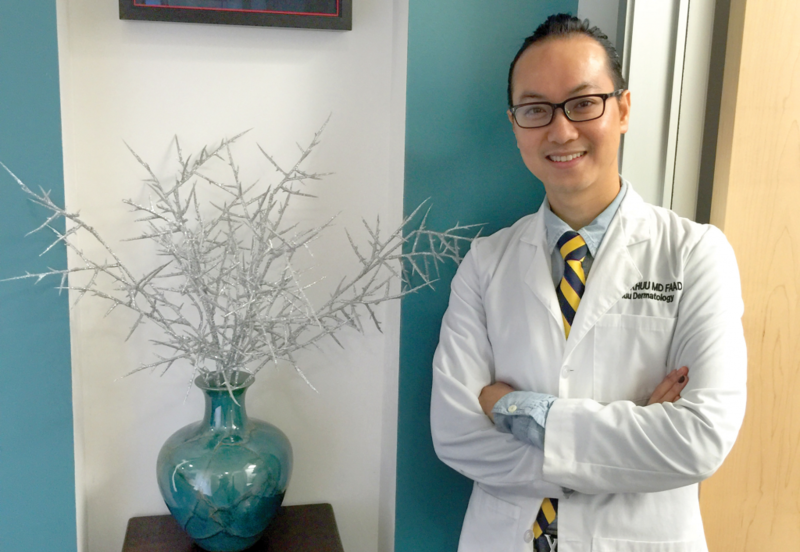 This Saturday, from 9 a.m. to 4 p.m., Dr. Duke Khuu will be offering promotional discounts for most of his cosmetic services, including fillers and injectables, lasers, microdermabrasion, his “Fire and Ice” facial, extractions and chemical peels. You must attend to take advantage of those discounts. Clients will receive special one-day promotion pricing for all appointments booked at the event. New patients will also receive a 50% discount off an initial consultation (normally priced at $150) that will be applied to any services they purchase. It’s the perfect time to think about your goals and talk to an expert about how to achieve them. “We will help plan out your road map and come up with a successful plan that fits your budget and goals,” said Dr. Khuu. One treatment Dr. Khuu is highlighting right now is the filler Sculptra, which he uses for his “liquid facelifts.” With most fillers, like Radiesse and Juvederm, clients see instant results, but the results last for 5-6 months. In contrast, Sculptra is a powerful dermal filler that works by boosting the body’s own collagen production. With the resulting facelift, you get your jawline more defined, your cheeks lifted, wasted or hollow temples filled in. The effect takes a few months to achieve, but lasts much longer than that of most other dermal fillers – as long as two years. And because improvements happen more gradually than some fillers, you get a very natural, but youthful look. Dr. Khuu is also offering a number of useful skincare products from his Khuurino Clinical line, including his signature Santorini Cleanser for acne-prone skin. The Pamukkale SPF 30 is a tinted mineral sunscreen that doesn’t clog pores, is great for acne patients and has anti-aging properties. The event will be held at Dr. Khuu’s downtown Mountain View office at 889 Castro St. Space is limited, so please RSVP to quyent@khuudermatology to attend.